Listen to Baljit is one of the best indian restaurants in Oslo. If you are looking for delicious, indian food, Listen to Baljit is the spot for you. Our concept is modern and exciting. High-class fine dining meets authentic indian street food with a new twist, and you can have a taste of it all. Try some exclusive and traditional Indian courses, or order a variety of street foods from the most excotic corners of India. We also have Indian cocktails and desserts, and drinks to go along with the food. Feel free to ask your waiter which wine or drink is best suited for the meal. All of the above makes Listen to Baljit one of the best indian restaurants in Oslo. If you are a tourist in Oslo, you should check out our modern concept restaurant. As one of the best indian restaurants in Oslo, we have an exciting menu to share with you. A traditional Indian meal consists of several small dishes with different flavours called thali, which are meant to be shared between many people. According to Indian belief, it is beneficial to have at least six different flavours in your daily intake. The Indian tradition creates a social framework and great joy. On the menu you’ll find traditional dishes based on authentic masala, and traditional spice mixes from all corners of India. Our dishes consists of lamb, fish, meat or chicken. Many Indians are vegetarians for religious reasons, and India is therefore an excellent place for vegetarians to enjoy delicious and varied meals. If you are a vegetarian, you can choose from a wide variety of vegetarian dishes filled with lots of flavour, spices and fresh vegetables. Try all of this and more at the best Indian restaurant, Listen to Baljit. In Indian culture, there is much focus on keeping the body healthy, and this is done by eating many different spices. Spices are made from herbs and plants containing antioxidants, which keeps the body healthy. Spices are therefor not only used in food, but also in desserts and cocktails. The secret to making authentic, Indian food is the composition of the right spice, and the right amount. Many believe that Indian food only consists of spicy food that’s complicated to make, but this is completely wrong. Indian food isn’t hard to prepare, but it doesn’t make itself either. You need knowledge about the ingredients, and the ability to add them in the right order. Baljit Singh is trying to show the people of Oslo how to make great, Indian food, in the best Indian restaurant. Indian born Restaurateur Sardar Gurdial Singh came to Oslo in 1982, and started working with Indian Cuisine as the founder of Maharaja Restaurant, after developing hos chef skills at The Ashoka Hotel in Delhi. His son, Baljit Singh Padda, created Listen to Baljit, inspired by the food vendors from the streets of India. The menu consist of a variety of dishes from across India – traditional fare with a modern twist. 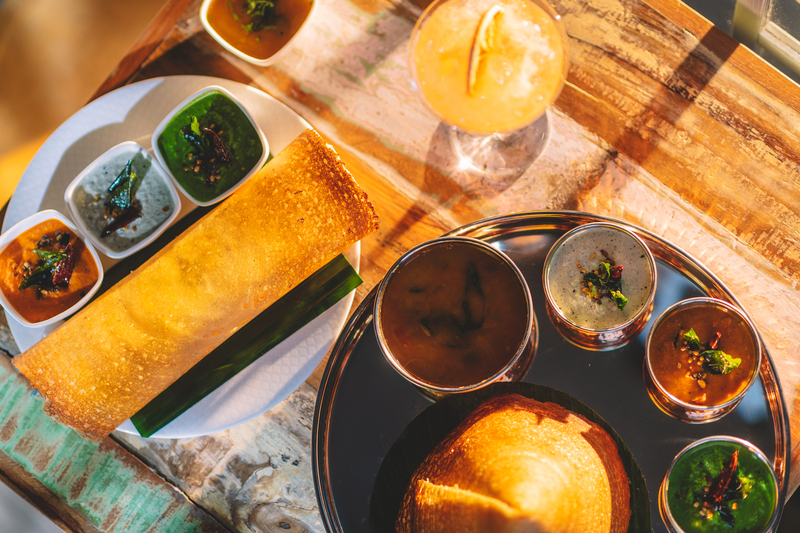 Indian street food is the perfect way to sample India’s vast cuisine and culture. The dishes are packed with flavour, texture and aromatic spices. Listen to Baljit donates a meal to children in many countries all over the world. Every time one has a meal at Listen to Baljit, the best indian restaurant in Oslo, we donate a meal to children that faces hunger. Once a year during Christmas, Diwali and Eid, we collect money to support their way through education and schooling. Would you like to book a table at the best indian restaurant in Oslo? Make a reservation online, and let us know if anyone in your party has allergies or other special needs. For large parties please contact us directly at post@listentobaljit.no or call us at +47 998 62 000. You can also use the form below. Welcome to Listen to Baljit, the best indian restaurant in Oslo!